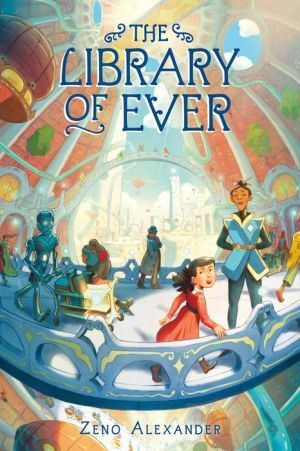 The Library of Ever is an instant classic for middle grade readers and booklovers everywhere -- an adventure across time and space, as a young girl becomes a warrior for the forces of knowledge. With her parents off traveling the globe, Lenora is bored, bored, bored -- until she discovers a secret doorway into the ultimate library. Mazelike and reality-bending, the library contains all the universe's wisdom. Every book ever written, and every fact ever known, can be found within its walls. And Lenora becomes its newly appointed Fourth Assistant Apprentice Librarian. She rockets to the stars, travels to a future filled with robots, and faces down a dark nothingness that wants to destroy all knowledge. To save the library, Lenora will have to test her limits and uncover secrets hidden among its shelves.